Is less more when choosing running shoes? I recently finished a half-marathon and couldn’t get over the number of runners on the course that were wearing what looked like nothing more than bedroom slippers. But what they were wearing were the new “minimalist” running shoes. These aren’t the original "barefoot" shoes that went around each of your toes, as if they were gloves for your feet. Now, all the major footwear companies, from Nike, Reebok, and Asics offer new shoes designed to help you transition from a traditional sneaker to one of these lighter, smaller, maybe even more joint-friendly, "minimalist" pairs. While the jury is still out on whether or not these shoes reduce the risk of injury by strengthening muscles in the feet and ankles, here’s what you should to know. What are the "new" minimalist shoes? 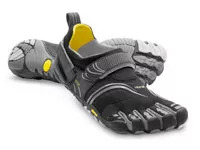 The original “barefoot” shoes are the Vibram Five Fingers, which now come in more than a dozen different styles, but they are essentially built to provide protection from the ground with little to no cushioning or added support. Designed to be flexible with each toe able to move independently, they’re popular among trail runners and some road racers, but probably too radical for most mainstream athletes to consider. there is no definitive data to prove that they work. In the past few years, newer "minimalist" designs have emerged that provide some cushioning and support as well as a regular toe box (no more gloved feet). 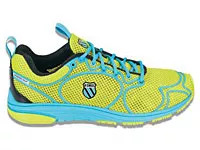 They look almost like a regular running shoe—albeit a much lighter version. A typical running shoe will weigh in at about 10 ounces for a women’s shoe whereas these new lightweights are about 6-8 ounces. Upon closer inspection, you’ll see that the heel is not as high as regular shoes and there won’t be as much cushioning. Traditional running shoes feature a larger drop from the heel to the toe to encourage you to strike the ground with your heel and push off on your toes or forefoot, whereas these new minimalists might have little to no difference from heel to toe. Experts say that individuals with high arches (myself included in this group) have the easiest time adapting to these new minimalist shoes. On the other hand, those with flatter feet may have a harder time adapting to the lack of arch support in the shoes. If you’re a heavy athlete or if you log lots of running miles each week, these may not be the right shoes for you. So I wanted to try some on for size and see how they felt on my feet. I had a chance to try the K-Swiss K-Ruuz and the Brooks Pure Cadence. Companies like Saucony, Nike, New Balance, and Merrell all have options in the same category and are similarly constructed as well. I tried each shoe for just a half-mile road run then slowly built up the distance I would run in them. 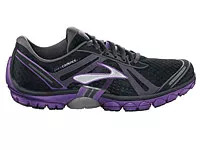 While I could do a five-mile run in either shoe without any discomfort or soreness, I did prefer wearing the minimalist shoes when trail running, when the ground provides some give. I also found that the shoes were fine for CrossFit workouts, as long as I wasn’t doing too much running or moves where I land hard on my feet. Friends who swear by the shoes say that they feel that they have developed stronger feet and ankles. I decided to wear the minimalist shoes for a couple of workouts a week, because I feel more protected and in my regular thick-soled kicks. So at least for now, my feet are happily wearing more, not less.